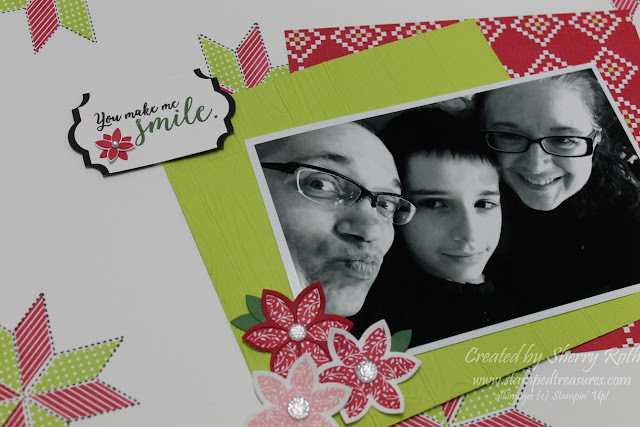 Welcome to the Holiday Catalogue Sneak Peek! One of the perks of achieving the incentive trip is free products. And this year Stampin' Up! released the Holiday Catalogue to attendees before anyone else. They also spoiled us with bucket loads of free product from the upcoming catalogue! 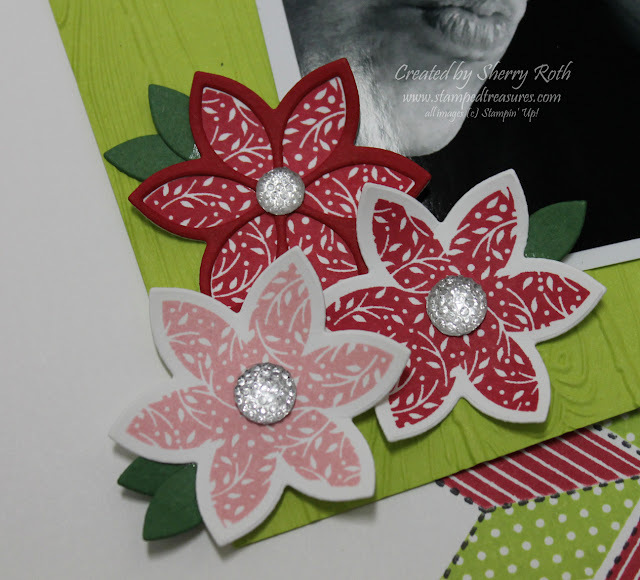 And as of today, Stampin' Up! has given us permission to share the products and samples we've created with you. There are lots of wonderful products to be released. I hope you enjoy a little peek into what's to come. 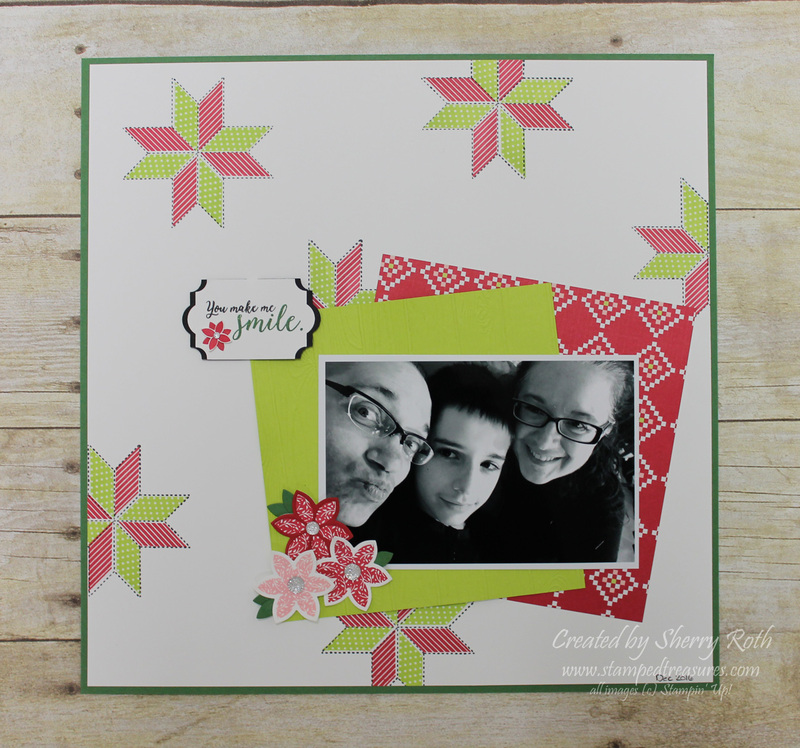 The products I chose to focus on are from the Quilted Christmas Suite. This collection of products is perfect for anyone who loves to quilt or sew, who would love to be able to quilt or sew, loves the quilted look, well for anyone really. It's such a sweet collection! I used the Christmas Quilt Bundle, which includes the Christmas Quilt stamp set and the Quilt Builder framelits, and the Quilted Christmas DSP. My color combination was pulled from the colors in the dsp. I would never have thought to put real red with lemon lime twist, but I LOVE it! And although the name suggests that the bundle is for Christmas, as you can see from this layout, it can be used year round. There is nothing Christmas about this layout! And take a look at these flowers... you can stamp the image and cut it out with the framelit, you can also add the inner piece that will cut the inner petals out, like the red layer on the top flower. And the inner petals from the detailed flower are what I used as leaves! Plus I figured out a couple other ways to use this combination of dies. But I'll save that for another day! If you look at the stamping on the star-like image in the background, it looks like a lot of work. However, SU has designed the stamp so that you are stamping 2 of the diamond shapes at once (opposite each other so they can be the same color). And they are really easy to line up! The Holiday Catalogue goes live to customers September 1st. One of the perks of being a demonstrator is that we can pre-order ANYTHING from the Holiday Catalogue beginning August 1st! That also means that you can choose Holiday Catalogue products as part of your starter kit! If this interests you and you are in Canada, I'd love to answer any questions you have! You are currently visiting the blog of Sherry Roth (Stamped Treasures) be sure to check out the next person on the list to see what else is new. Thanks for stopping by, have a creative day! Spend $50 (before shipping & tax) using host code G93446ZK and you'll receive these two card kits along with a thank you card as a thank you from me! Visit my online store. Treat yourself to Bonus Days. 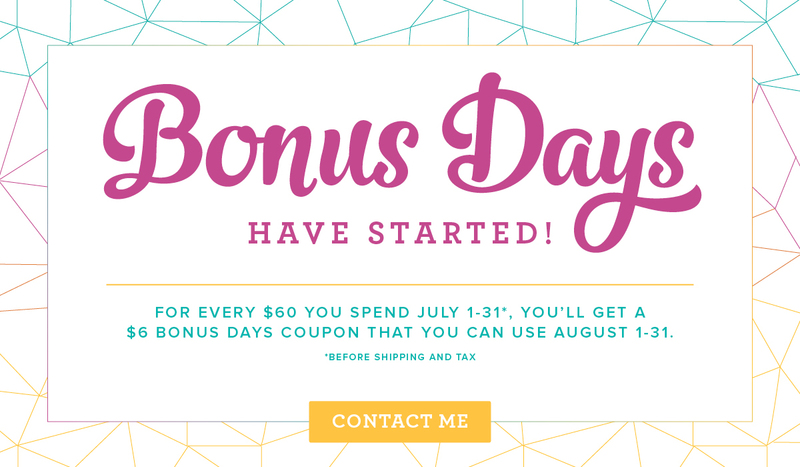 For every $60 you spend July 1-31st (before shipping & tax), you'll get a $6 Bonus Days Coupon that you can use August 1st to 31st. No limit to the number of coupons you can earn. Combine this with what I'm offering and that's a SWEET deal! Order online today! Purchase the starter kit during the month of July and you'll receive a free essentials gift pack (two D blocks, grid paper, paper snips, SNAIL adhesive, bone folder AND the Carols of Christmas stamp set! Purchase your starter kit today!